Fast-food giant McDonald's has acknowledged the growing demand for vegan options from customers - saying it is 'always open to their suggestions'. The burger chain has launched a number of vegan products across different markets in recent times and has suggested that more are in the works. 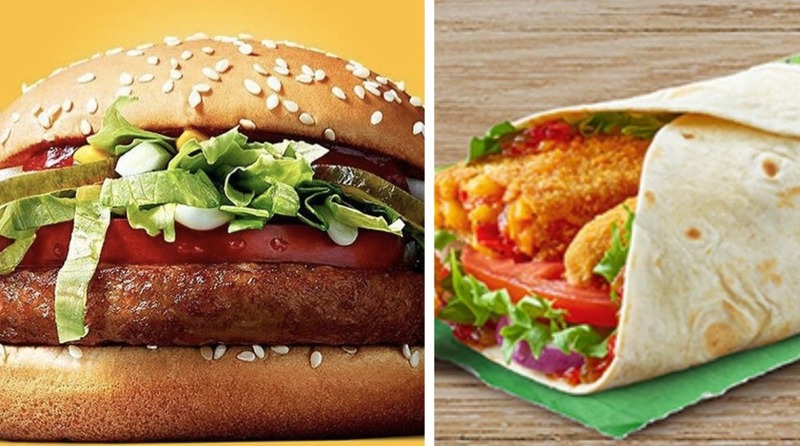 Current animal-free offerings include the McVegan in Finland and Sweden, as well as a vegan-friendly wrap in the UK*, and new vegan nuggets in Norway. Now customers are calling on the brand to bring plant-based options Down Under, with almost 2,000 people signing a petition titled Tell McDonald's to bring a meat-free burger to Australia. "We understand there is a rising demand for vegan and vegetarian options, and we are always open to suggestions from our customers," a McDonald's Australia spokesperson told news.com.au. *While all the ingredients in the wraps are suitable for vegans, McDonald's has marked the items as vegetarian because the tortillas pass through the same toaster as the buns that contain milk - and therefore there's a minor risk of cross-contamination. The items are both certified by The Vegetarian Society.